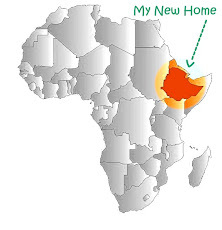 You might have stumbled across my blog while frantically trying to learn about Ethiopia and what life as a PCV is like here…if that’s the case and you have any questions, please feel free to contact me via email (CopelandLE@gmail.com). Your days in the states are numbered at this point – cherish them! A few recommendations I have for you all – some companies give discounts to PCVs – do a google search or something of the sort. Check out Chaco, Timbuk2, and Macabi Skirts for about a 50% discount on their products (definitely worth it). Also, a really good brand in travel purses is PacSafe – I think REI carries them, but they also have a website. Ladies – I highly recommend purchasing a DivaCup or something of the sort – tampons are not widely available at all in this country. Also, although PC recommends you not bring contacts, I say do it, if that’s what you’re used to wearing. I brought my contacts and wear them quite often (bring a big bottle of contact solution, as I’ve never seen it for sale in country). If you’re thinking about making a blog (or have already), I don’t recommend blogspot, as you will not have regular access to the site. For whatever reason, it’s a blocked website in country, and most of us did not know that until after we arrived here…so to post an update, you have to have someone back home do it…kind of annoying. Wordpress is reliable here and worth looking into. Bring some flea powder with you (and a fly swatter). There’s a very good chance you’ll get fleas at some point…in your bed. Not a good time. If you have any other questions about what to pack, holla at me. Hope you’re all getting excited about coming to Ityop’ya – get ready for “13 months of sunshine”!!!! Yippee.